NETVA 2011: French entrepreneurs “dive” into Boston’s ecosystem ! From September 18 to 24, five promising French startups, laureates of the 2011 National competition NETVA (New-England Technology Venture Accelerator), came to Boston to participate in a unique and customized coaching and business development program prepared by our office. The ultimate objective of NETVA is to connect these innovative companies withBoston based corporate and academia partners, and facilitate the development of innovative French startups in theU.S. Selected nation-wide by a Franco-American committee, the five laureates of the 2011NETVA edition have been granted an intensive accelerator week in Boston from September 18 to 24, during which they received customized coaching from local U.S. entrepreneurs and experts of early stage international development. Moreover, they have been matched with a personal U.S.mentor as well as with some prominent technology and entrepreneurial leaders in the Bostonarea. During July of this year, both the laureates (5) and candidate startups (28) were offered a three-day long preparation workshop at the invitation of the Microsoft Inc. headquarters inParis. During the week, the laureates met more than 250 new connections in the Boston area, and each of the laureate had 15 one-on-one meeting scheduled with potential partners, investors and advisors ! NETVA partners with a large range of Boston institutions, including “MassChallenge”,the French-American Chamber of Commerce (FACCNE), the French Foreign Trade Advisors (CCEF), MLSC and MOITI. 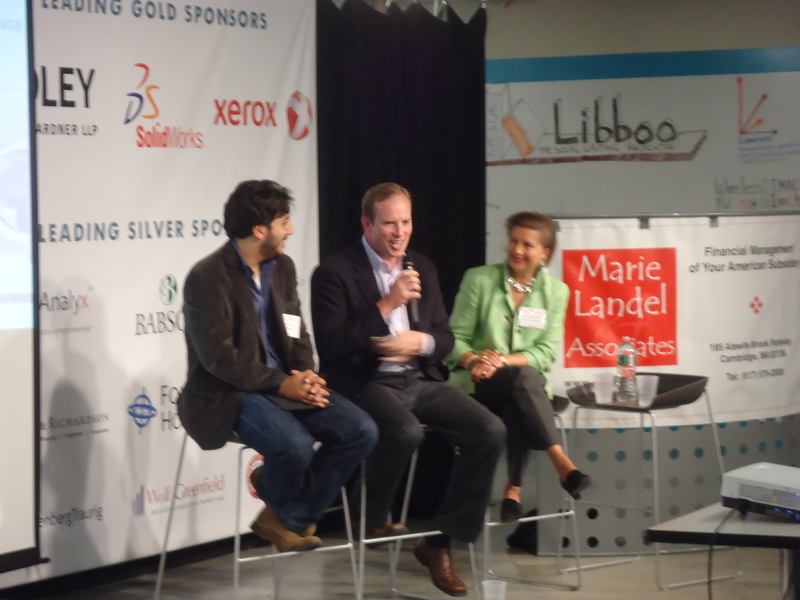 The highlight of the 2011 NETVA edition was a panel discussion, held at “MassChallenge” premises in South Boston. Entitled “Traditional and Alternative Startup Funding, a Transatlantic Perspective. The event attracted more than 100 experts of the area ! 3 of them are already envisionning to set up a subsidiary in the area ! NETVA will come back next year, fostering new relationships for promising French Startups !